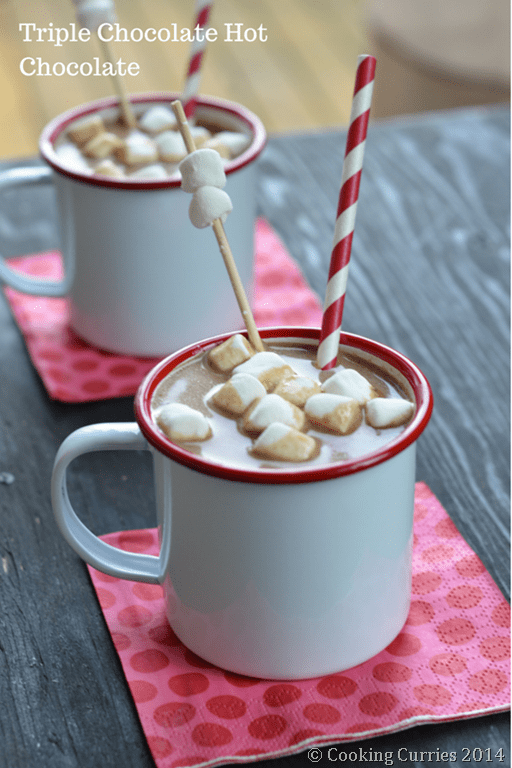 Who doesn’t like hot chocolate? Especially during this cold winter months. 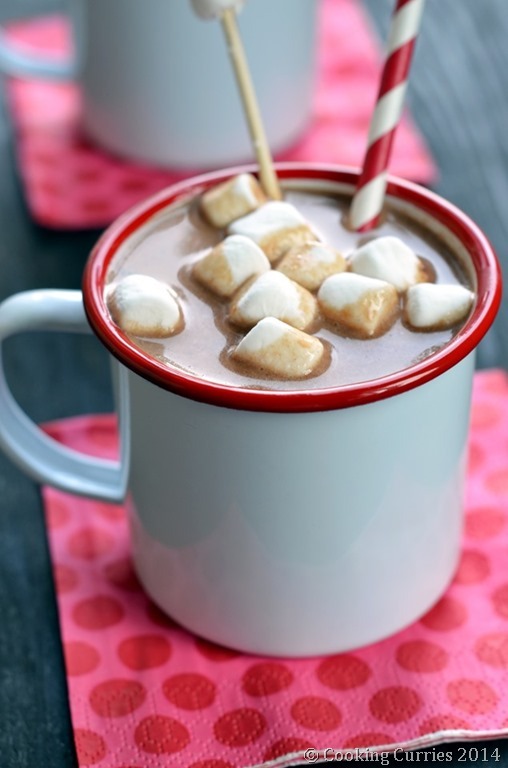 The image of a nice warm mug of hot chocolate, the fireplace and a cozy throw is all you need to keep you feeling warm. For the longest time I only made hot chocolate with the pre-mixed mixes. The just-add-hot-water kinds. I always found that it lacked some character. I sometimes would add some milk to it instead of water but it still not elevate it any more than what it already was. I have had other nice thick rich velvet-ey hot chocolates and somehow these, that I made at home never got even close. Heat the chocolate chips with the cream in a pan, over low heat, till the chocolate completely melts. Whisk well throughout. Add the cocoa powder and mix thoroughly with a whisk. Add the milk and increase the heat to medium and bring to a boil. Add the chocolate syrup and mix it in well. 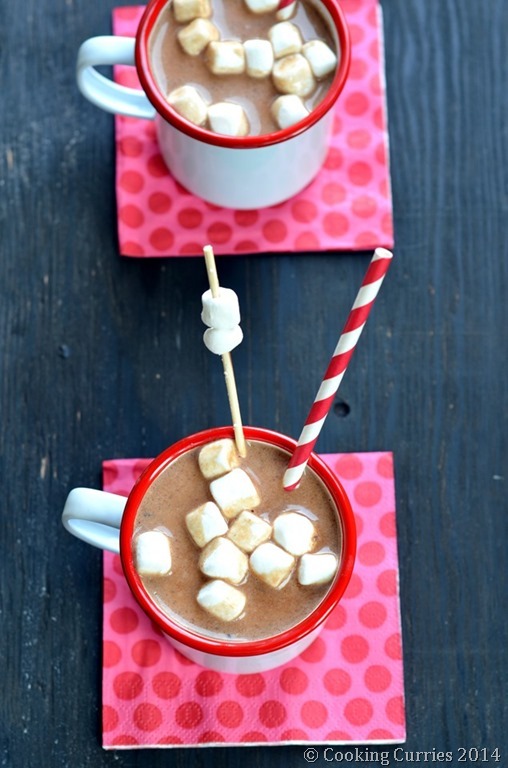 Top with a pinch of sea salt and some marshmallows and serve hot.